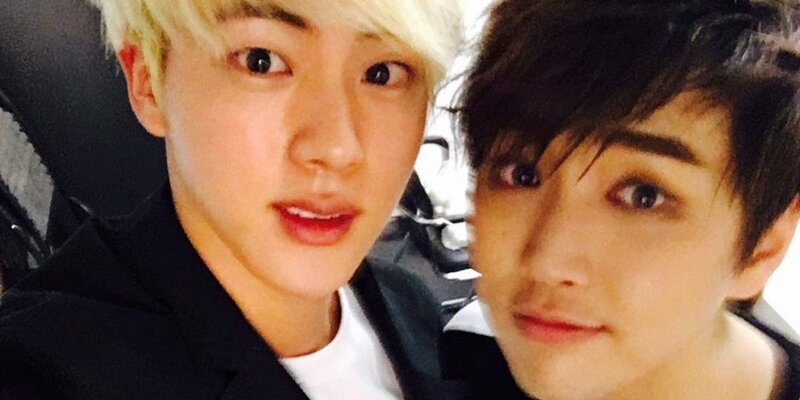 B1A4's Sandeul shared a funny incident involving his close friend BTS' Jin. On the July 9 broadcast of MBC FM's 'Sandeul's Starry Night', Sandeul mentioned a 92-line friend Jin and said, "I was so shocked when I first met him." He explained, "It was when we met for the second time. It was at an ending stage where all the singers go on the stage together. He suddenly came over to me and grabbed my�tummy. It was just our second time meeting each other and he suddenly grabbed my�belly so I was thinking, 'What is this?'" Sandeul continued, "After time passed, I asked why he did that. Jin said he just wanted to touch it. So he came over and grabbed it even before he knew it and held on to it because it felt nice." Sandeul added, "I realized that Jin's the type that lets everything go when making friends. I'm kind of like that too so we were able to find a commonality."